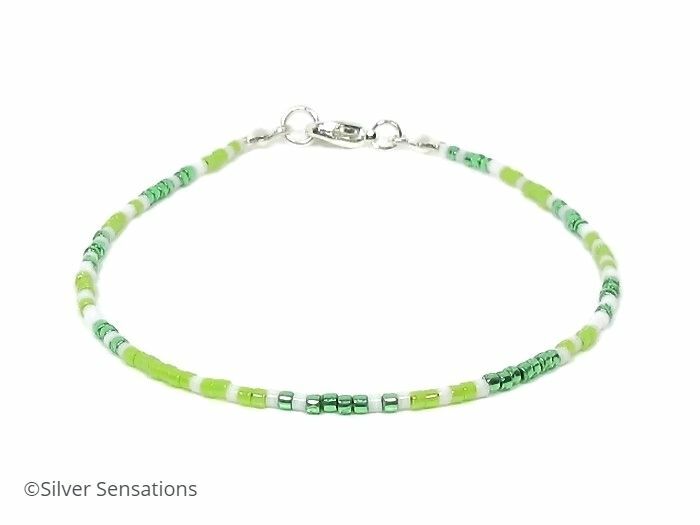 A dainty green & white handmade seed bead fashion anklet with high quality Miyuki Delica seed beads. 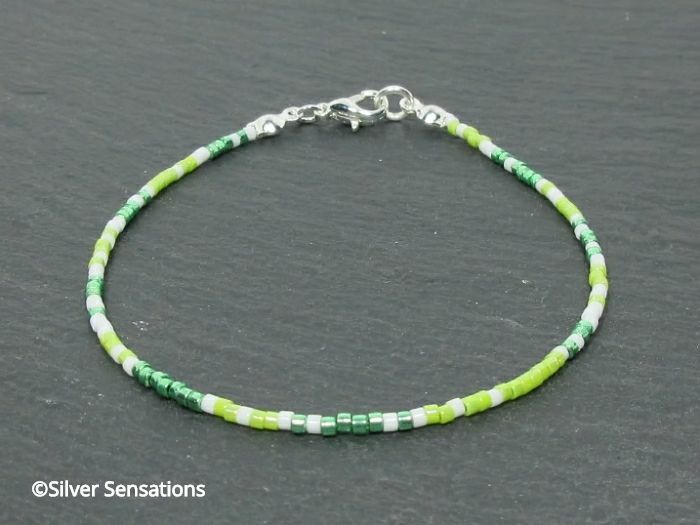 These tiny beads are lime green & glossy emerald green with chalky white breaking up these shades of green. 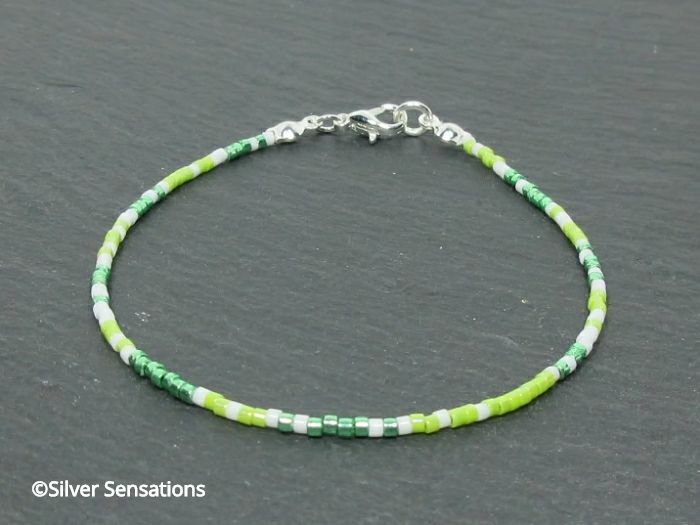 This time I've designed this anklet so that each side are opposite in shades of green rather than my usual completely symmetrical pattern. 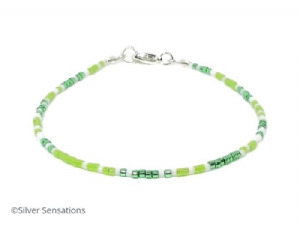 Threaded onto high quality thread & finished with a silver plated lobster clasp & fittings. 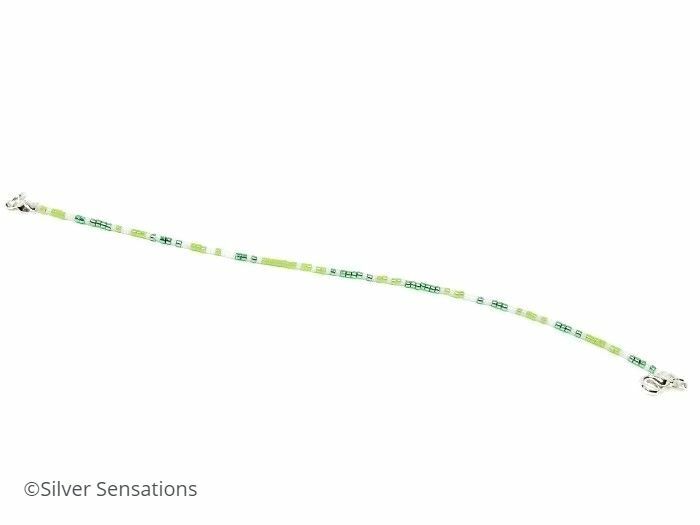 There is a variety of sizes available but if you'd prefer a different length, please let me know & I'll be happy to make one for you. 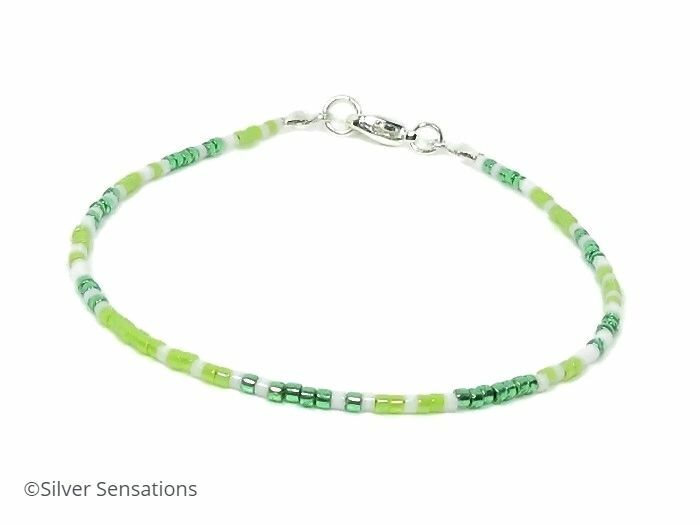 These seed beads are just under 2mm wide so why not create a stacked gypsy look with lots of these anklets in different colours.